When growing crops, or keeping land in top conditions, water is absolutely essential. 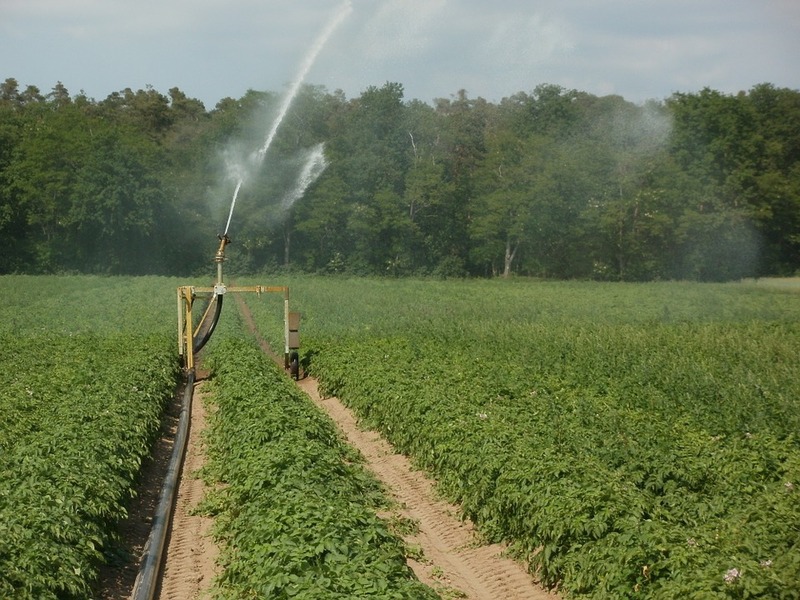 Many farms will use irrigation systems to help their crops grow in ideal conditions, yet this uses a lot of water. To cut down on water bills, and reduce water waste, many farmers will rely on collecting rainwater, and the run-off water from the crops to keep the plants watered. This process involves many plastic parts, from plastic water butts for storing the water to plastic reservoirs for collecting the water from the land. All of these parts will also be connected by plastic pipes, meaning that the full process of water collection to water distribution will be completed using plastics! In the colder and wetter winter months, things needed to keep animals such as grain, straw and grass are not as readily available or as easy to gather. This means that farmers will need to store these items in the summer ready for the colder months. 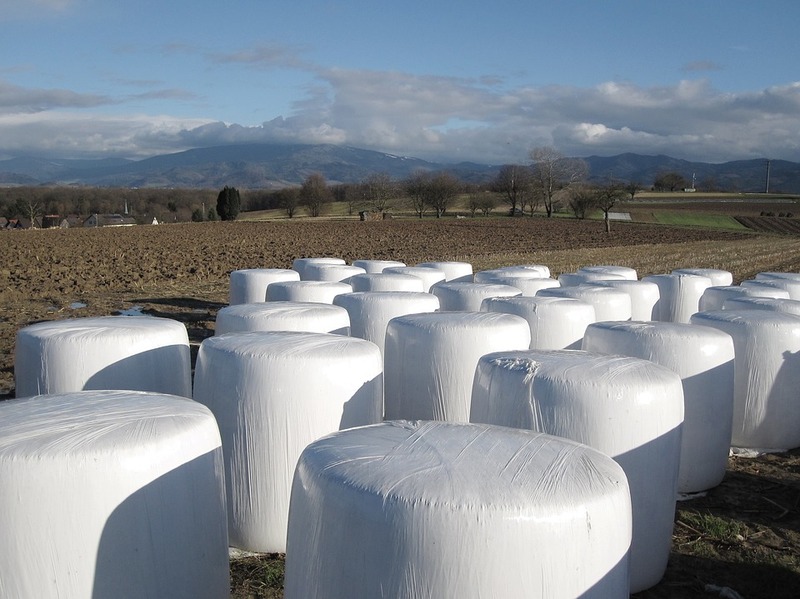 Known as silage, the grass or hay is bundled into bales and wrapped in a plastic film. 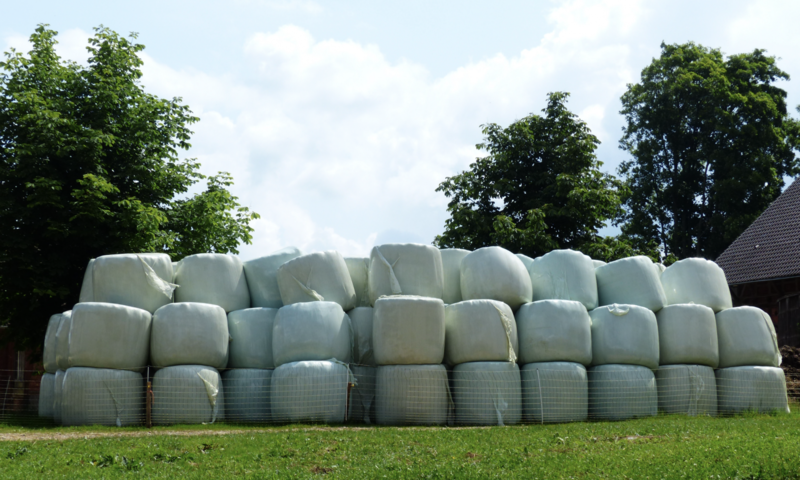 Under their plastic covers, hay bales are kept dry, and grass is able to ferment, forming silage for the animals to eat. As plastic is such a strong material, the contents can be stored in this manner for several years if necessary. Greenhouses are an essential tool for farmers, especially in the UK where the environmental conditions may not be ideal for many crops. Helping to promote higher temperatures, sunlight exposure and offering protection from wind or rain damage, greenhouses can provide the perfect conditions for most crops. 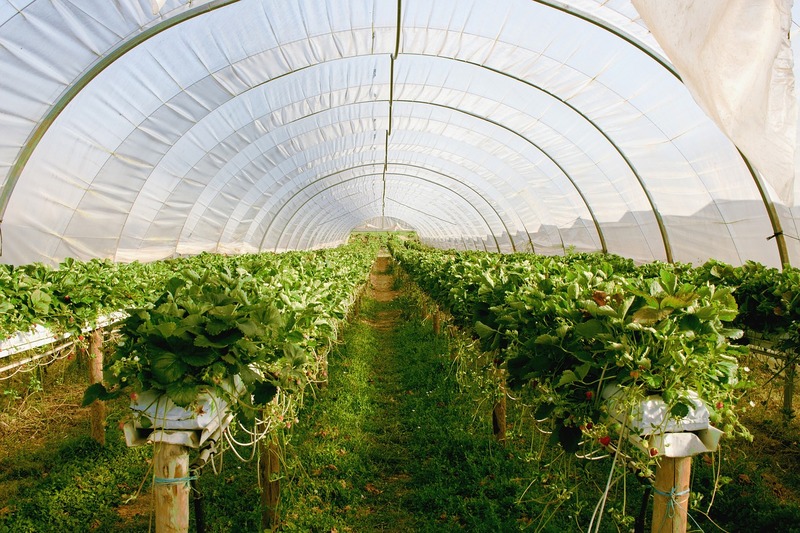 While some greenhouses will be made of glass, many larger scale ones, as will be found on farmland, will be made using plastics, such as polytunnel greenhouses. On a smaller scale, the same effect can be gained for lower-growing crops by adding a tunnel of plastic over each row of vegetables. This helps to keep the crops protected from the environmental conditions and keeps them warmer while avoiding the height and construction of a full greenhouse! 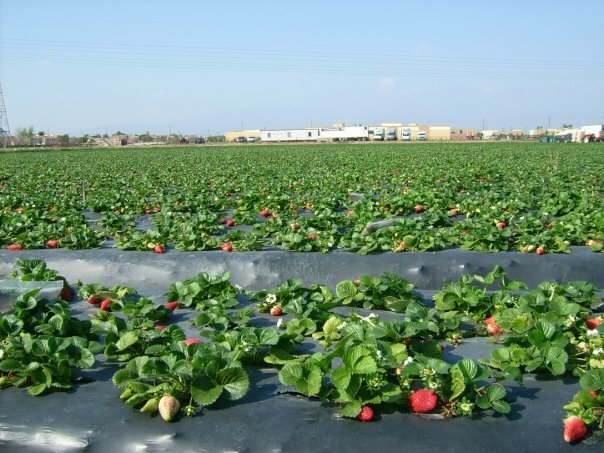 The process of mulching involves a sheet of material being placed over the plants’ roots to maintain higher levels of moisture and humidity, thus aiding the growth of the plant. Similarly, the sheet will help to stop weeds from growing around the plant, and the separation of the plant’s leaves from the ground can help to protect against bugs. Typically, the sheets used to cover the ground will be made from plastic. 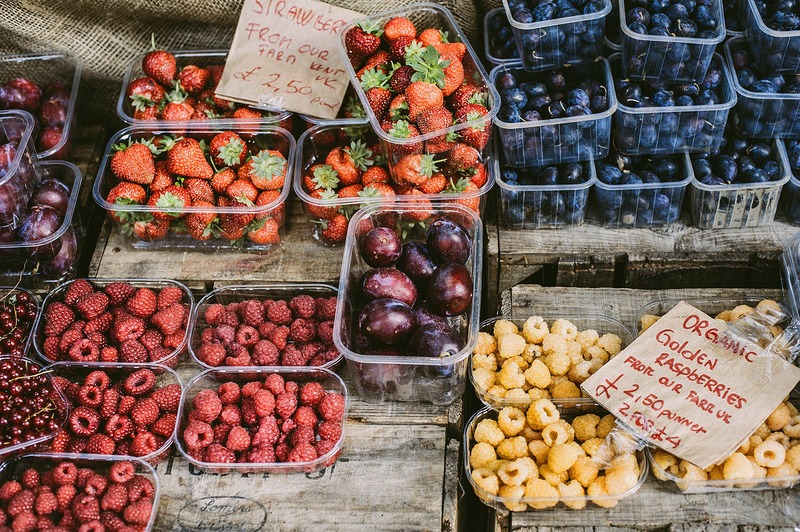 Of course, most farmers will be intending to sell on the produce that they have grown, meaning that it will need to be packed up ready to leave the farm. Plastics can come in very handy for this task, with numerous packaging options available, including crates, boxes and bags. Do you work in the agricultural industry? If you are looking for a plastic injection moulding service or would like to further discuss how we here at Opus Plastics can meet your needs and transform the way in which your farm operates, then please do not hesitate to get in touch! If you would like to read more about the use of plastics in industry, then check out the last blog in our series on how plastics are used in building and construction! Previous PostPrevious Why Do We Use Injection Molding? Next PostNext What is Tube Extrusion?